Wrap faster fish cake, meat, prepared foods FW3461 | Stretch Film Wrapping Machines | FUJI MACHINERY CO.,LTD. 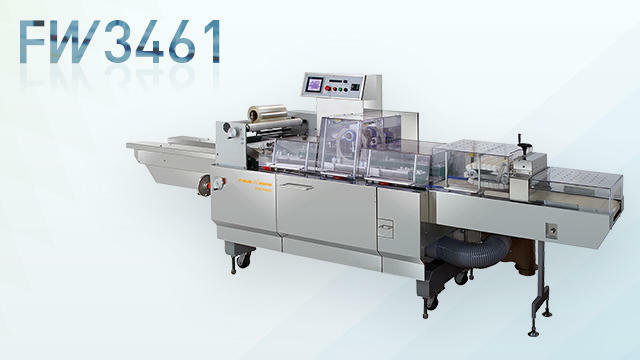 A high speed horizontal stretch packaging machine that employs a servo motor in the main drive. Sanitary design integrated throughout. Employs a belt-type dispenser.